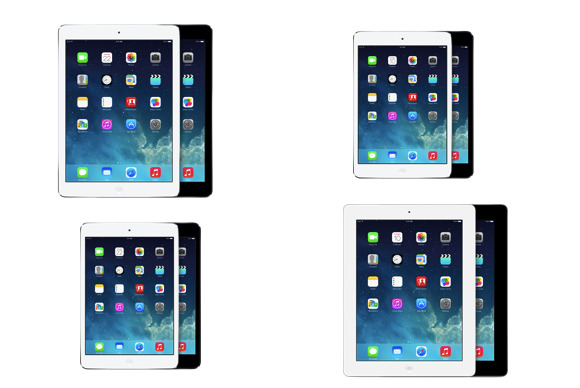 Now, though, we’re up to four different iPad models, each with several permutations. Then you have to think about what capacity, whether or not you want cellular networking, and even what color you want. It might be overstating it slightly to call the new iPad Air the Cadillac of iPads, but it is the biggest, most luxurious iPad around. It’s got top of the line features across the board, from the 64-bit A7 processor to the high-definition cameras on front and back. But the real draw here, at least compared to its fellow iPads, is the big 9.7-inch Retina display. While that display has the same 2048-by-1536-pixel resolution as the new Retina iPad mini, let’s face it: Sometimes a bigger screen is just better. If you don’t want to worry about squinting to make out text on the iPad mini’s smaller screen, the iPad Air may be a more comfortable option. It also makes digital magazines, comics, and video look absolutely fantastic. And with the larger screen, certain tasks—such as typing long missives—might be more comfortable. Of course, those features come with a higher price tag. The iPad Air starts at $499 for a 16GB Wi-Fi model, and it only goes up from there. The Retina iPad mini has most everything you’ll find on the iPad Air: the high-resolution Retina display, the 64-bit A7 chip with M7 coprocessor, capacities up to 128GB, cellular options that work with all of the major U.S. carriers, a FaceTime HD camera in the front, and a 5-megapixel iSight camera—capable of recording up to 1080p HD video—on the back. And then there are the usual trappings: Wi-Fi, Bluetooth, Lightning connector, headphone jack, speakers, microphone, and so on. Whether you opt for this or the iPad Air comes down to essentially two factors: size and price. If you want the smallest and lightest iPad around, the mini wins, though not by as much as it used to; it’s around three-quarters of a pound to the iPad Air’s 1 pound. Its small size may be even more of a selling point, especially if you want something that’ll travel easily wherever you go: About the size of a trade paperback, the mini can fit comfortably into a purse or a small bag. And even though the new iPad Air is light enough to be held in one hand, the iPad mini still beats it, well, hands-down in that category. In particular, that makes the mini great for reading books or playing many games. With a $399 price tag for the 16GB Wi-Fi model, the Retina iPad mini is also $100 cheaper than a comparably equipped iPad Air, which is certainly something to consider if you’re on a strict budget. There’s one major reason to look at the first-generation iPad mini: It’s the cheapest iPad around. And for its Wi-Fi-only model’s price of $299, it packs a decent wallop. The first-generation mini includes HD cameras on front and back, Siri, and most of the same capabilities of newer iPads. It’s a great iPad for plenty of less-demanding users who just want to get on the Internet, get their email, and download a few apps. Not to say that there aren’t some trade-offs for that cheaper price. The mini’s A5 chip is a couple of years old, so its performance can be on the poky side, especially in intensive applications like some games. There’s also only one capacity option: 16GB. That might be fine for a casual user, but it won’t take long to fill that up with even a modest collection of digital music, videos, and photos. And then, of course, there’s no Retina display. 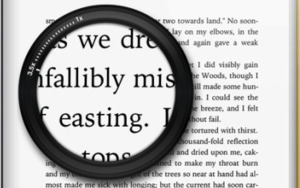 While the first-generation iPad mini’s screen is respectable, its lower resolution can make reading some text harder, and images just don’t pop quite as impressively as they do on the Retina display. But then again, you’re here for price, not for top-of-the-line specs. The black sheep of the iPad family, the iPad 2 has at least been blessed with surprising longevity since its 2011 introduction. At $399 for the Wi-Fi-only model, it’s pricier than the first-generation iPad mini, and though it shares that mini’s A5 processor, it lacks many of the niceties of its smaller counterpart: no Siri, no high-definition FaceTime camera, no 1080p video-recording (and fairly low quality still shots), no Sprint or T-Mobile cellular options, no LTE, and an older version of Bluetooth. And like the first-generation mini, it comes in only one capacity, a limited 16GB. But there is one case in which the iPad 2 might be attractive: If you have a big investment in accessories that require the 30-pin dock-connector port, this is the iPad for you. Or if you’re looking for an extremely bare-bones iPad to serve as something like a point-of-sale terminal. Or if you really need the biggest screen for the smallest price possible. 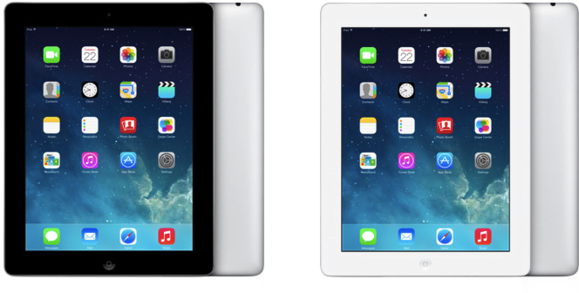 In almost every other scenario, though, the iPad mini is a better choice sheerly for the price. If you’ve figured out which model of iPad to pick up, then you’ve already done the hard part. But now you have to answer another question: How much storage do you need? In general, there’s no downside to getting as much storage as you can afford. Every time you double the capacity, however, it’s going to cost you another $100, so though a 128GB iPad Air may pale in comparison to the storage you used to get on that 250GB iPod classic, its $799 price tag may not be the best use of your money. That said, unless your needs are truly minimal, it’s hard to recommend the 16GB capacity these days. If you maintain any sort of digital media library—and before you say “no,” keep in mind that includes photos—then you’re quickly going to have to think about what items you do and don’t want on your iPad. And that’s way less fun than actually using an iPad. On the flip side, that 128GB capacity probably isn’t necessary unless your iPad is your sole device. If it’s responsible for storing all of your photos, music, movies, documents, and every app you need for your personal and work life, then you’ll probably be looking for as much capacity as you can get. If you’re a particularly heavy user of games or video, two things that can consume a lot of storage space, extra capacity might be a worthwhile investment. But most users will probably be happy with either the 32GB or 64GB models. It’s worth looking at your iTunes library, video collection, and photos to get an idea of what kind of space you really need. And remember, there are options for offloading some of those items—photos to your Mac, using Photo Stream; iTunes Match for your music; and iTunes in the Cloud for those video purchases. Consider those and other services if you’re looking to save a little bit of cash. You’re almost ready to click through to checkout. First, though, you have to decide whether you want to add cellular networking capabilities to your iPad. What’s the advantage of cellular networking? Well, if you’re somewhere that doesn’t have Wi-Fi and you desperately need to check your email, cellular networking is your best friend. These days, cellular networks offer far broader access than Wi-Fi, and with the move to LTE networks, the speeds are comparable as well. And though there is an additional cost, the no-contract model means that you can pay for a chunk of data when you need it, without locking yourself into a monthly service fee, as on a smartphone. Some carriers, such as AT&T, have even begun experimenting with different types of plans, such as AT&T’s $5 day passes or T-Mobile’s offer of 200MB of free data per month. As with more storage, cellular networking can be a good investment if you can afford the premium. In particular, it may be useful if you travel a lot with your iPad, or if your iPad is your sole device. It can also be handy as a backup: If you opt for a different provider than on your smartphone, you may be able to get network access in even more places. If you’re on the fence, consider an alternative: Most phone providers these days offer tethering options for smartphones. So instead of using the cellular functionality of an iPad, you may simply be able to share your smartphone’s data connection with your iPad, thus saving some cash upfront and down the road. Okay, there’s one more choice: Do you want a black iPad or a white one? On everything except the iPad 2, a white front also means a silver back; on the black model you’ll get Apple’s new “space gray” color. You’ll probably want the white iPad if you—oh, who are we kidding? This one’s totally up to you. Just pick something that you’ll be happy with for a while to come.